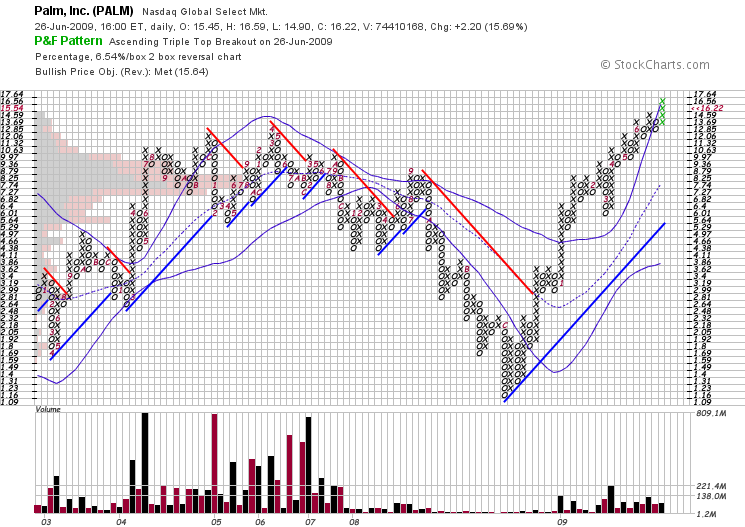 Palm continues to make multi-year highs and it’s causing plenty of StockTwits chatter. With the Pre in play, the market continues to bet PALM can give Research in Motion a run for their money and grab a few iPhone/AT&T haters. PALM is appearing on my favorite screen, along with memory manufacture magnate STEC and technical institute operator LINC. All three are trading at new highs with large short positions, making them potential squeeze candidates. Now that the overall market has found stability, PALM looks like a good candidate for investment. Consider the 9pts between Friday’s close and the 20sma, and calculate position size accordingly.